If you happen to be looking for the best Caribbean webhosting company, then congratulations! You have found us. We offer caribbean based hosting from Curacao, an offshore hosting jurisdiction with incredible connectivity to the US and South America through Internap and LEVEL at NAP of the Americas. Many of our clients are financial institutions, caribbean based companies and small to large listed and non-listed online gambling companies. Customers host with us for license reasons, Curacao’s strict privacy laws, fiscal benefits and access to a multi lingual workforce. We are not just a hosting company, we are a wealth of Caribbean related information pertaining to: Banks, Local Financial Institutions, Trust Companies, Gambling Licensing, Hosting, Telephony and many other services. We work with our customers on a one-to-one bases and take a personal interest in the success of their businesses. We wont sell you anything you do not need and our policy is to ensure that your business runs at optimum performance on our hardware. If you need assistance or advice be it a technical question or a business decision, we have a broad range of expertise to assist you. We are carving out our very own niche which is to offer our clients the best gaming related hosting and IT services available in the industry and for this reason we have built a highly scalable and redundant cloud hosting solution. 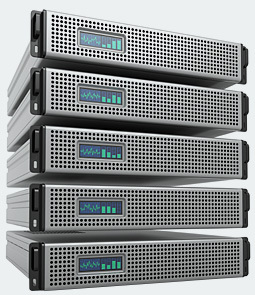 If your business runs on our servers we guarantee that it will be fast, affordable and secure.